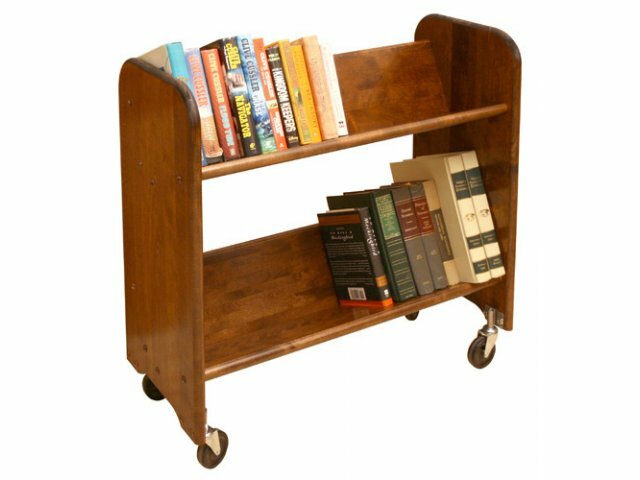 These Wood Book Carts are ideal for schools, libraries, or offices where large quantities of books must be moved quickly and easily. Catskill Craft has been producing quality wooden products for over 60 years. High grade raw materials, rich wood colors and attention to practicality have made the company into a leading manufacturer of RTA carts, islands and work centers. Tilted shelves permit easy viewing of titles and feature 4.5 feet of storage. 3" heavy duty swivel casters.